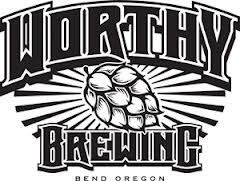 FOR IMMEDIATE RELEASE – February 13, 2013 – Binghamton, NY – SunMaxx Solar, a leading, vertically integrated manufacturer of solar thermal systems and components, is proud to announce the installation of a solar thermal system at the new Worthy Brewing Company in Bend, Oregon. Sunlight Solar Energy installed the system that included 56 TitanPower Plus SU24 roof mounted solar hot water collectors and a StorMaxx non-pressurized 2000 gallon solar storage tank that will supplement the solar breweries domestic hot water. The system is projected to provide an approximate 20% solar fraction for brewery. The company was founded in 2011 and their new building, which fills approximately 28,000 square feet of a two story building will house the brewery, restaturant and a future hops garden and greenhouse. Brewmaster and founder, Chad Kennedy, used to work as a brewmaster at Laurelwood Brewing Company. He left Laurelwood in 2011 to become the founding brew master at Worthy Brewing Co.